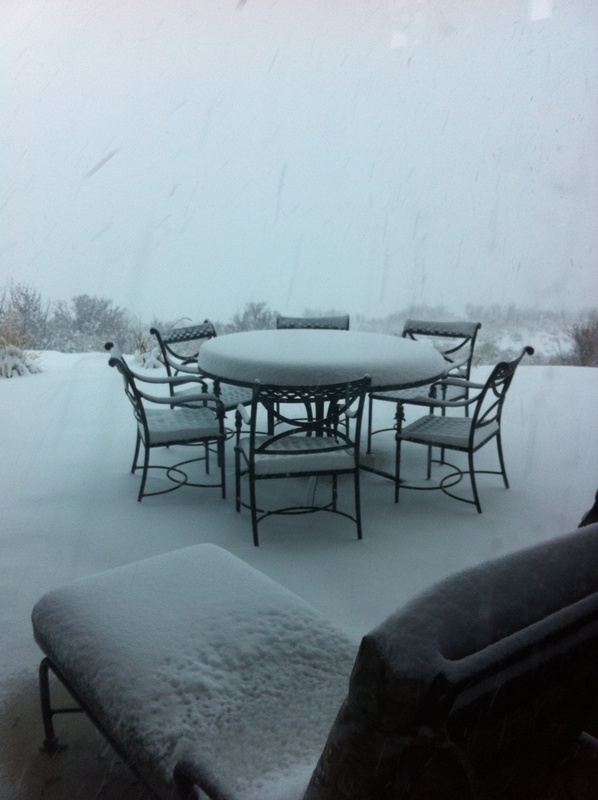 It’s finally dumping that light fluffy powder outside my window and there are only 8 days till the chair lifts start turning up on the mountain! I know all my friends back East are getting pummeled with snow too – So whats better than a bowl of hot soup to warm you up on a cold snowy weekend? I have so much Acorn Squash in the fridge right now with all the recipes I’ve been cooking I needed to use them up! 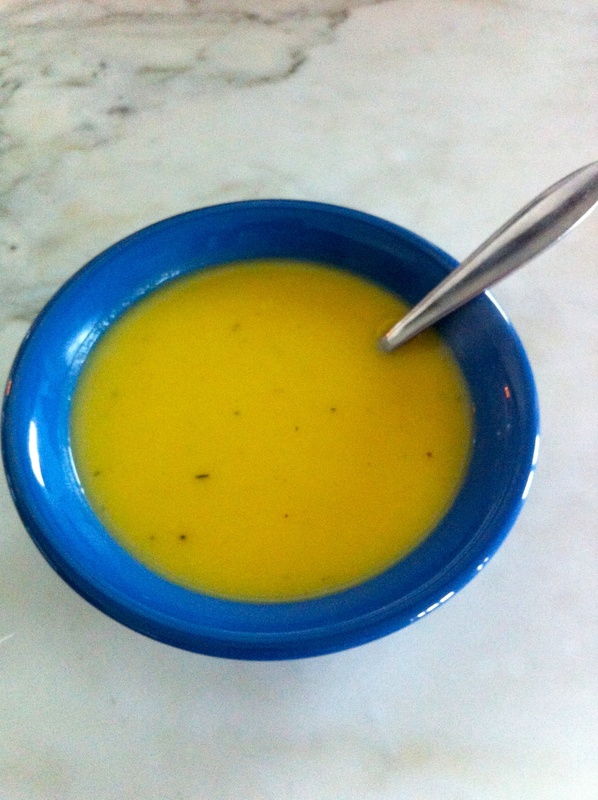 You probably don’t even need to go to the store for this simple acorn squash bisque, which is why its the perfect snow day soup. 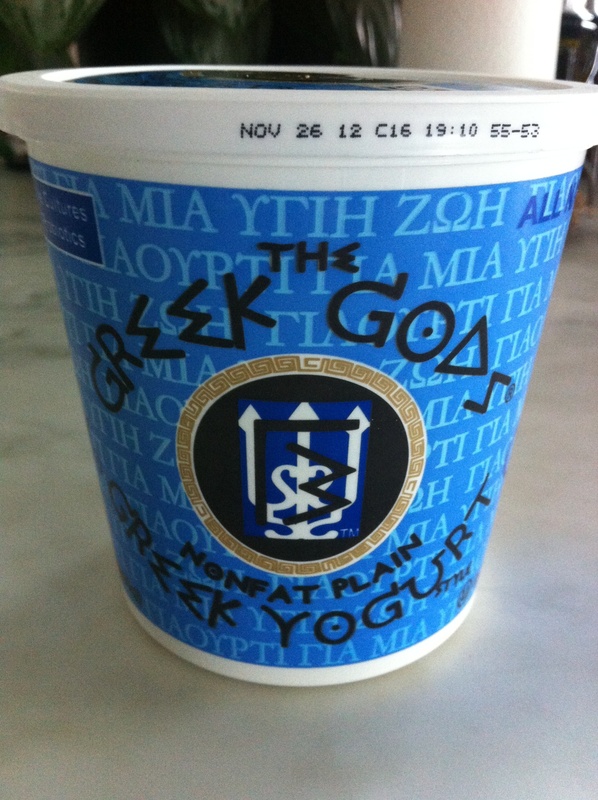 I adapted this recipe from Martha Stewart’s – Instead of half-and-half I used Greek Yogurt. Hope you enjoy and stay warm! 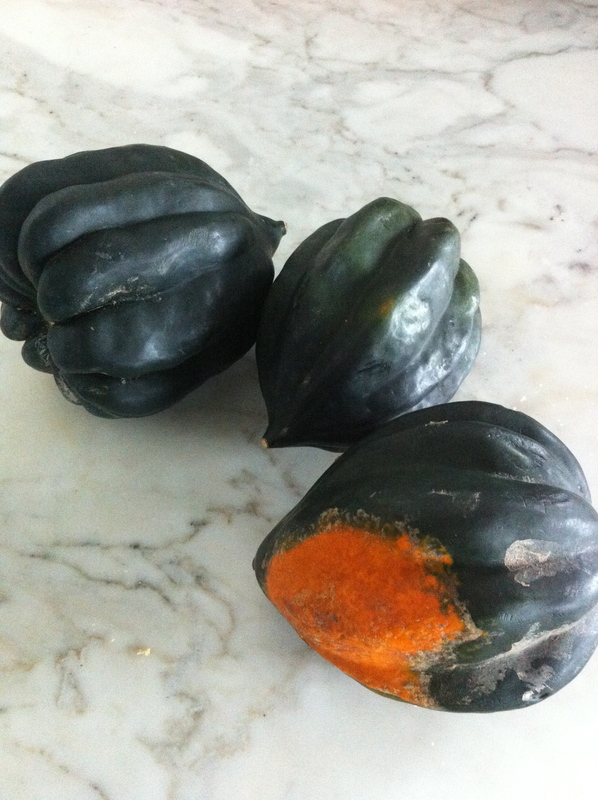 Halve squash lengthwise; scoop out and discard seeds. Place squash cut side down on a baking sheet and roast until almost tender when pierced with a knife (about 30 min). 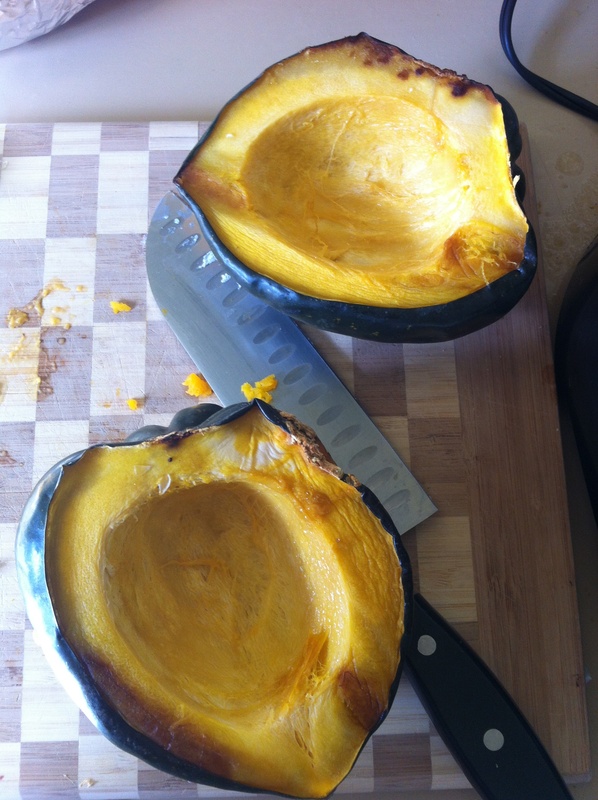 When cool enough, scrape out flesh of the squash with a spoon and discard the skins. Set remaining squash aside. In large saucepan, heat butter over medium. Add onion, season with salt and pepper and cook until onion has become translucent about 3-5 minutes. Add squash, thyme, broth and 2 cups water. Bring to a boil over high heat; reduce to medium and cook until squash is very tender, about 10 to 12 minutes. Remove from heat and add Greek Yogurt. Working in batches, puree mixture in a blender or food processor until very smooth. Return to pan and season generously with salt and pepper. Serve garnished with fresh thyme (if you have it on hand). This entry was posted in Recipes, Soup and tagged Acorn Squash, Greek Yogurt, Soup by skibootsinthekitchen. Bookmark the permalink.